George Balanchine famously wrote, that ballet "is a woman." 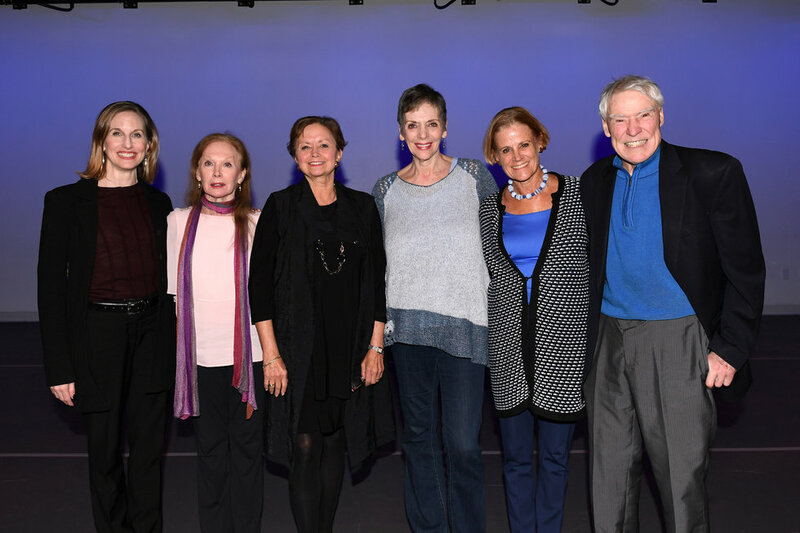 Four of his most celebrated women—Allegra Kent, Gloria Govrin, Kay Mazzo and Merrill Ashley—appeared onstage at Jacques d'Amboise's National Dance Institute Monday evening to celebrate his legacy. 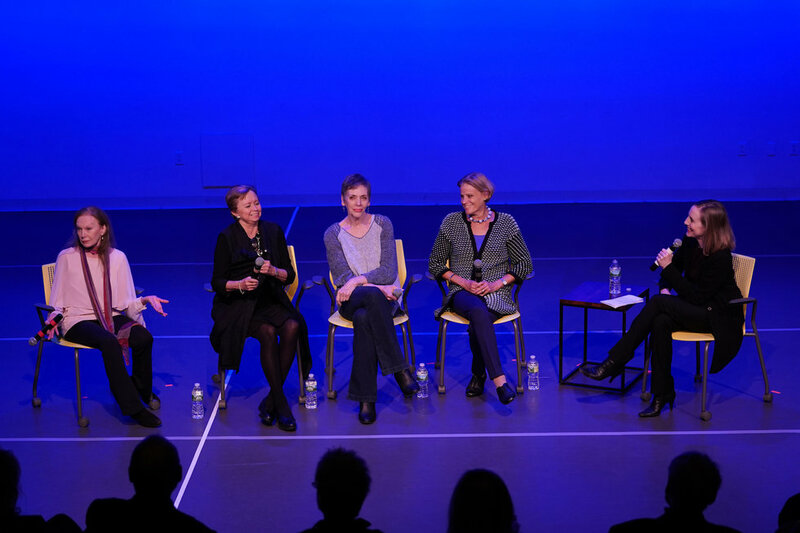 The sold-out program, called "Balanchine's Ballerinas," included performances of excerpts from ballets closely associated with these women and a discussion, moderated by former New York City Ballet principal Wendy Whelan. Here are some highlights of the conversation, filled with affection, warmth and fond memories. Whelan began by thanking d'Amboise for the chance to "talk with dancers I've idolized my whole life." She then asked each of the women what made Balanchine unique. For Govrin, it was how he was "always asking for more." Kent remembered how he "always wanted us to 'do it faster.' " Mazzo mentioned his "innate glamour," and Ashley spoke of Balanchine as a "master pyschologist; he understood our personalities, sometimes better than we did ourselves." Govrin shared how she worried that she was too tall to dance with NYCB. Balanchine's response? "I like tall people; you can see them better!" Mazzo said, "At Balanchine's insistence I danced Firebird. I was petrified and didn't want to do it. But Mr. B. told me I had to. The confidence after the first performance. He made you believe in yourself." When asked by Whelan the best advice they'd ever received, Mazzo recalled Balanchine telling her "not to be scared. Be bold." Govrin received similar advice: "Western Symphony was hard," she said, remembering that she performed it for the first time in Chicago when another dancer was injured. "Mr. B. told me to be fierce. I thought I was. Then a friend came backstage and told me I was adorable in the role. Adorable! That wasn't what I was going for." "Balanchine always allowed us to make mistakes," said Kent. "He felt that was how we eventually mastered the roles." NYCB principal Daniel Ulbricht, who is closely involved with NDI, gave the evening its final punctuation. "There is no handbook for Balanchine," he said. "If we didn't have these glorious ballerinas, there'd be nothing."